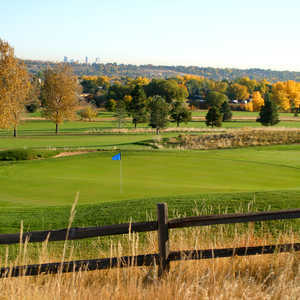 The 18-hole Canyon/Meadow at Fox Hollow Golf Course in Lakewood, CO is a public golf course that opened in 1993. Designed by Denis Griffiths, Canyon/Meadow at Fox Hollow Golf Course measures 6808 yards from the longest tees and has a slope rating of 138 and a 71. 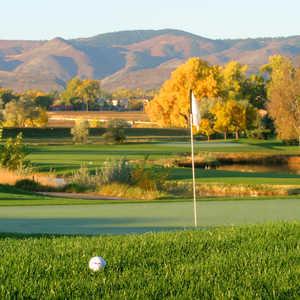 The 18-hole Homestead Golf Course in Lakewood, CO is a public golf course that opened in 2002. Designed by Denis Griffiths, Homestead Golf Course measures 5048 yards from the longest tees and has a slope rating of 110 and a 62.6 USGA rating. The course features 4 sets of tees for different skill levels. The 18-hole Lakewood Country Club in Lakewood, CO is a private golf course that opened in 1908. Designed by Donald Ross and Tom Bendelow, Lakewood Country Club measures 6699 yards from the longest tees and has a slope rating of 136 and a 71. The 18-hole Links/Canyon at Fox Hollow Golf Course in Lakewood, CO is a public golf course that opened in 1993. Designed by Denis Griffiths, Links/Canyon at Fox Hollow Golf Course measures 7030 yards from the longest tees and has a slope rating of 135 and a 72. The 18-hole Meadow/Links at Fox Hollow Golf Course in Lakewood, CO is a public golf course that opened in 1993. 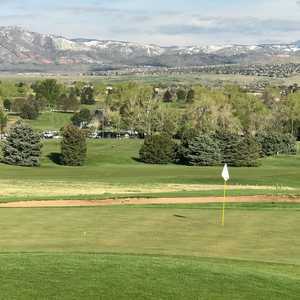 Designed by Denis Griffiths, Meadow/Links at Fox Hollow Golf Course measures 6888 yards from the longest tees and has a slope rating of 135 and a 72.